A new, leading-edge screening option for women with dense breasts. 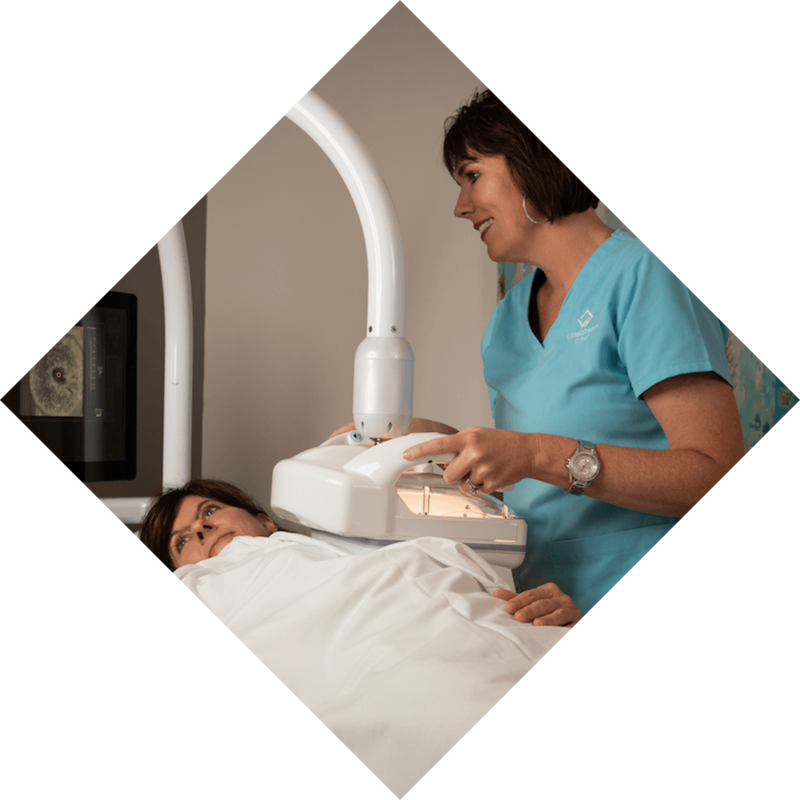 Longstreet Clinic is excited to announce the availability of a new, leading-edge screening option for women with dense breasts – the Automated Breast Ultrasound (ABUS) from GE Healthcare. Longstreet Clinic is only the second provider in the state to offer this FDA-approved technology, and the only location within 60 miles of Gainesville- Hall County. When combining ABUS with mammography in women with dense breast tissue, detection of breast cancer is improved by 35 percent. Approximately 40 percent of women have dense breast tissue, which can mask lumps or masses in mammogram images. Dense breast tissue not only increases the risk of breast cancer up to four to six times, but also makes cancer more difficult to detect when using mammography alone. Breast cancers tend to look white like breast gland tissue, which means they are easier to see on a mammogram when they’re surrounded by fatty tissue, which appears dark. As breast density increases, mammogram accuracy decreases. The ABUS system is designed to enhance the consistency, reproducibility, and sensitivity of whole breast ultrasound. The ability to see the entire breast gives clinicians greater control over the review process, supporting more confident decisions. Breast density is determined by a board-certified radiologist who reads the patient’s mammogram and classifies the density into one of four categories: almost entirely fatty, scattered fibroglandular densities, heterogeneously dense or extremely dense. For more information, call the Longstreet Clinic Breast Center at 770-533-4700, or click here.